Charlie Lowell is a founding member of Jars of Clay where he plays piano. Jars are releasing their 11th album next Tuesday. Inland is already #26 on the Alternative chart in iTunes. Charlie and his bandmates also founded Blood:Water Mission which works to bring clean water to sub-Saharan African communities greatly affected with HIV/AIDS. Charlie, it’s been great getting to know you a little over Twitter and I had a lot of fun spending some time together when you were here in Madison this spring for the Pulse Conference at Blackhawk. Since then you guys have finalized the new album and even started touring Inland. Thanks for taking some time to talk with us about your new album. Thanks, Hans. It’s been a pretty wild couple years. We have parted with many of the older systems of the music business (i.e. management, record label), and are excited to be fully independent in this season. We have spent many hours reflecting on our career, and essentially observed that it’s the season of “in-between” that feel the most poignant, and in turn connects most fully with people desiring to integrate their lives. It’s where we all live- caring about work, family, faith, doubt, the world around us- but really struggling to connect them and find lasting meaning out of them all. So we approached this record process with that in mind- our goal was to write in those specific moments of humanity, and to put the many voices we have accumulated over the years behind us. You guys are no longer affiliated with a record label. You and I talked about this a little bit while you were in Madison. What are some of the challenges in launching a record independently, how has that process gone for Inland, and is there anything you’d ask fans to do to get the word out? Well, it’s been very immersive. We have learned the music business in many ways for the first time because there aren’t people and buffers in between us and our business. We started this band at a young age, and things grew so quickly that we were happy to leave the business up to the professionals. 🙂 The challenge of being independent is that at the end of the day, the responsibility falls squarely on the shoulders of Steve, Dan, Matt, and myself. That’s empowering and honest, but it’s extremely demanding work. There are days when we have to remind ourselves that we are doing all this because we love music and creating together as a foursome. The other element is that the label was the megaphone to the people that there is a new Jars record out- so we have to address that in new and creative ways, and they are always changing. The best way people can support us if they truly care about what we are up to, is to buy the record and tell their friends about it. If you get to and can afford it, come see us live. The interaction at the concerts is really what makes it pop for us, and we get to hear how these songs that are personal to us become personal to others, in the contexts of their stories and lives. It’s wonderfully mysterious and beautiful to get that feedback, and keeps us fully in the work. I love your Twitter posts that mention music you’re listening to. Previous albums have been influenced by the Cure and Tears for Fears. 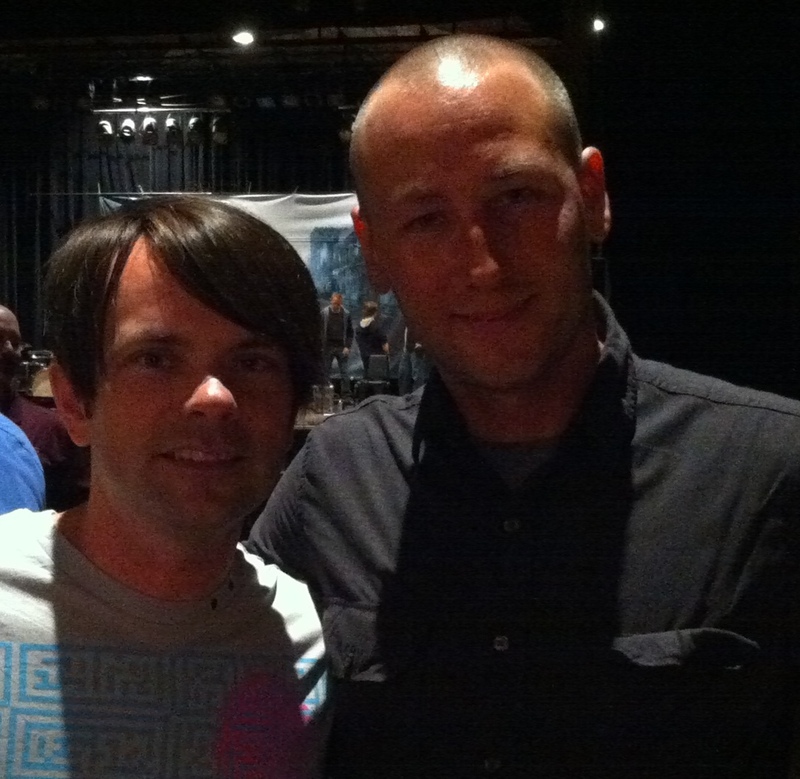 You met (lead singer) Dan Hasletine when you saw him wearing a Toad the Wet Sprocket t-shirt. What influences can we look for on the Inland album? I don’t think they’ll be super overt, and INLAND is less of a re-invention of Jars and more of a reclaiming or re-discovery. Because we got to just “be the band” and trust Tucker Martine to produce us, I think all the influences from the past are mixed in a big stew. There are moments that may make one think of the Killers, or Death Cab, or others, but hopefully it does sound inherently like Jars. To follow up on that, can you tell us the message or the questions you’re trying to raise with this album? We are aware that there are songs on this record that we could not have written 10 or 20 years ago. We joke that when we met (college) we knew everything, and know we hardly know anything. So the record is about the journey and wanting to be open, receptive in the moment, to the process and the sights along the way. “Inland” is a great reference for leaving the comfortable and familiar for the richness of what is down the road. There are a couple songs about looking back, reflecting on youth. We love to cultivate a space where people of any walk can feel safe in their humanity, questions, desires to look at themselves through the skin of these songs and lyrics. I won’t ask your favorite song on the album. But if you could direct us to a particular lyric or musical section from the album, where would you point us? I think Love in Hard Times speaks honestly of the struggle that life-family-love-work is, but also holds a hope in the tension; that it’s not in vain and there are graces and gifts that wait. I like that balance of struggle and hope, and I think it’s where most of us live, if we’re honest with ourselves. Certainly those that have grown up with us and have kids and jobs and churches and friends, they are usually quick to nod and agree with that sense of “middle space”. I know you enjoy poetry. Music and poetry are often lumped together. How has poetry as a hobby for your made it’s way into Jars songs? In many ways, poetry is a source of devotion and spiritual reflection for me. It’s strength is that it needs not explain or convince- it can just sit in a mystery or a beauty (or a terror) and help you see it differently, or from another view. A few good friends fed me enough poems to demonstrate how powerful that can be. It doesn’t replace prayer, or the Word, but can cut through and create a window between the head and the heart like few other things. I would say it has impacted the ethos of the band more than a direct influence. Dan has always had a poetic style of writing, even before I could have articulated the power that it brings. 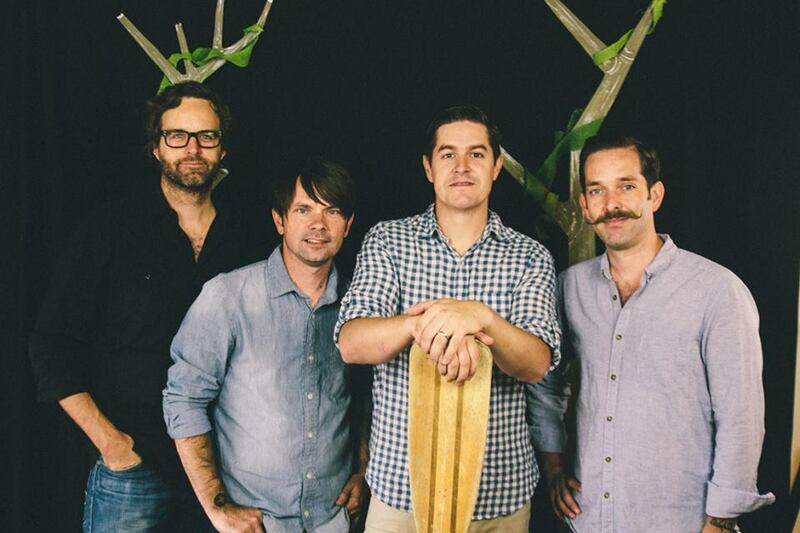 Jars of Clay has always battled the “Christian band” stereotype and label. Can you talk about being an artist with a Christian message, yet separating yourself from the Christian label? Sure. In this season, our only objective or message is to be honest. To put words and melodies to the grumblings and celebrations we get to live out. I don’t know how different that is from other “Christian artists”. The tension we have with being labeled a Christian band really lies in people’s wide (and often incorrect) perceptions and experiences with Christianity. It’s all over the map, from Pat Robertson to Bono and beyond. And the music quickly fades to the back, while things like politics and dogma become much too important. Then you either agree or disagree, “us or them”, and that’s just not the role that art should hold in our world. Art should provoke and move us, challenge and sustain us, where those other things fall so short and thin. Art should set a table and invite people to come and observe, engage, and respond. What are the chances we’ll see you in Madison or Milwaukee this fall? They are looking good! We are working on a late October midwest run. Still shaping up, but my fingers are crossed!! Charlie, thanks for taking some time with me today. Best of luck with the album and the tour. I look forward to seeing you guys again at a show sooner than later. Check this out! The official video for “Fall Asleep.” As they were recording Inland, the guys asked something about what the fans wanted to hear. I tweeted back “something featuring Charlie (on piano).” Well, here you go! This entry was posted in Life on August 22, 2013 by Hans Schiefelbein. This line almost comes across as an understatement for its simplicity: “Dan has always had a poetic style of writing.” It’s something I’ve written about in the past – Jars of Clay creates good music with good poetry, and the effect is timeless. Worlds Apart was just as beautiful last night as it was when I first learned to love it. Ryan, thanks for reading. Couldn’t agree more regarding Worlds Apart. Do you have any links to your writing? I’d love to read. Most of my writing tends toward the technical, as I primarily use it to talk shop with my web development community. My faith related posts are all tagged here: http://www.bywombats.com/topics/christianity, though looking at it now I’m a little bummed at how long it’s been since I’ve shared long form thoughts on the topic. Gotta get back on that! Thanks. Reading now! And yes, get back on those posts! Great stuff.